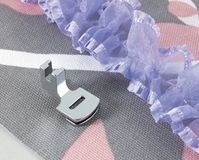 Sewing Feet for Brother Category E. For (NV Series 10, 10A, 15, 20, 20LE, 25, 30, 35, 50, 55. NS Series 10, 15, 20, 25, 30, NS35, 40, 40e, 50, 55, 80, 85e. PC Series 210, 210PRW, 420, 420PRW, SB3129, B500, CAMPUS300). Brother Blind Stitch Foot (Cat E). 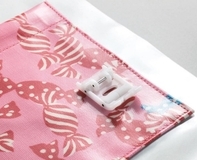 Creates blind hems on a variety of fabrics.. 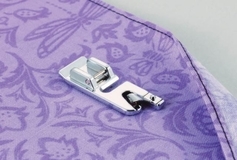 Brother Adjustable Zipper / Piping Foot (Cat E). 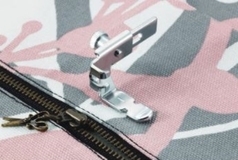 Attaches zippers and pipings.. 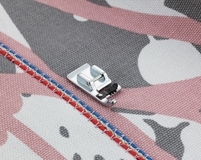 Brother Concealed Zipper Foot (Cat E). 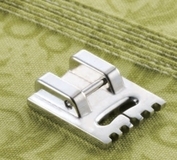 Allows you to install concealed zippers.. Brother Teflon Non Stick Foot - Horizontal (Cat E). Designed for consistent.. Brother Narrow Hemmer Foot 7mm (Cat E). 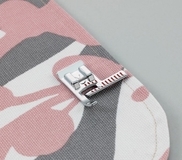 Designed to create a flat narrow hem.. Brother Edge Joining Foot (Cat E). This foot is perfect for precise and easy.. Brother Picot Foot 7mm (Cat E). 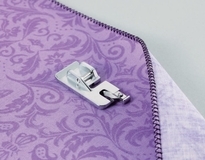 Handy for use when sewing special fabric edges.. Brother Piping Foot (Cat E). The New Brother Piping Foot is designed with two.. Brother Roller Foot (Cat E). The New Brother Roller Foot is designed to feed.. Brother Side Cutter 7mm (Cat E). 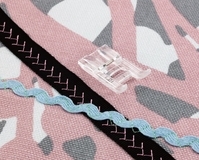 Creates the perfect cut edge like a serger.. 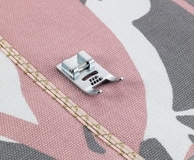 Brother Stitch Guide Foot (Cat E). 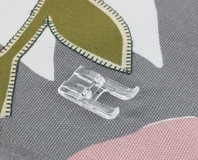 The scale in the presser foot can be used.. Brother Stitch in the Ditch Foot (Cat E). The New Brother Stitch in the Ditch.. 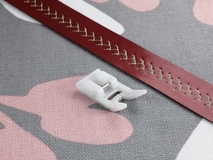 Brother Straight Stitch Foot 7mm (Cat E). 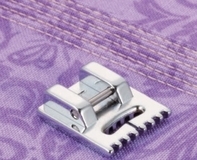 For precise straight stitching on.. Brother Vertical Stitching Alignment Foot (Cat E). This foot is used for top.. Brother Zig Zag Foot with leveling button (Cat E). For utility stitches, especially.. 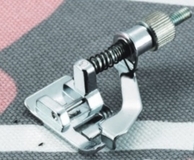 Brother Adjustable Bias Binding Foot (Cat E). This foot has clear plastic bias.. 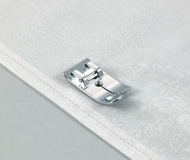 Brother Binder Foot (Cat E). 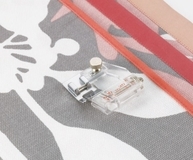 Attaches bias tape with widths less than 7 mm (.. Brother Clear View Foot - Horizontal (Cat E). 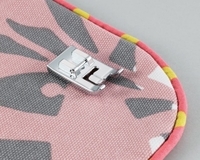 Use this presser foot where visibility.. Brother 3 Groove Cording Foot (Cat E). The foot works perfectly for attaching.. Brother 5 Hole Cording Foot 7mm (Cat E). 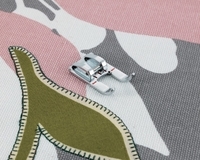 This foot makes embellishment edges.. Brother 7 Hole Cording Foot 7mm (Cat E). 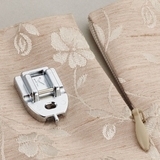 Used for embellishing 1 to 7 cords.. Brother Fringe Foot (Cat E). Used to mark construction details by creating.. Brother Gathering Foot (Cat E). Used to gather one ot two layers of lightweight.. Brother Open Toe Metal Foot (Cat E). 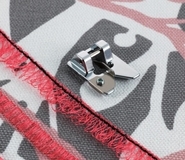 Provides better visibility in the needle.. Brother Open Toe Plastic Foot (Cat E). 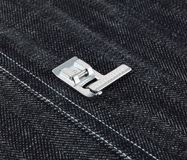 Provides better visibility in the needle.. Brother Pearls & Sequins Foot (Cat E). 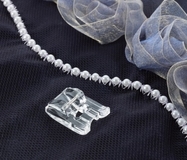 Attaches threaded beads, sequins.. Brother Pin Tuck Foot 7 Grooves (Cat E). This presser foot has 7 grooves and.. 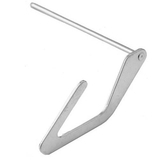 Brother 5 Grooves Pin Tuck Foot (Cat E). This presser foot has 5 grooves and.. 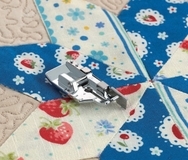 Brother 1/4 Inch Quilting Piecing Foot (Cat E). 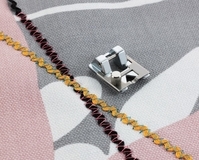 Best for quilt and patchwork.. 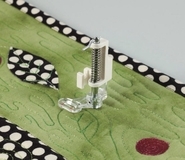 Brother 1/4 Inch Quilting Piecing Foot with Guide (Cat E). The Brother 1/4.. Brother Quilting Bar (Cat E). 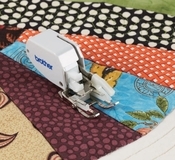 Use it to sew parallel rows at preset even intervals.. 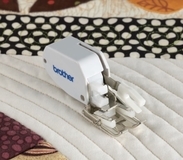 Brother Open Toe Quilting Foot (Cat E). The large opening on the front of the.. 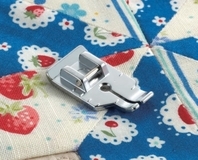 Brother Plastic Quilting Foot (Cat E). 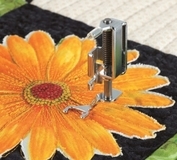 For darning, quilting, or free-motion.. Brother Walking Foot 7mm Horizontal (Cat E). The feed dogs on the walking foot.. Brother Open Toe Walking Foot (Cat E). The feed dogs on the walking foot moves.. 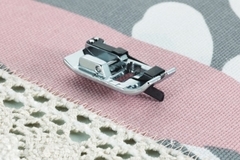 There are different sewing feets for different needs, like you have quilting feets, embroidery feets, presser feet and so on just like there are numerous brother sewing machine, same is the case with brother sewing feets. 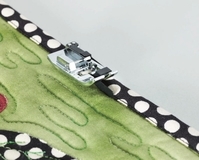 Choosing the right sewing feet for your machine as per the requirement is important. 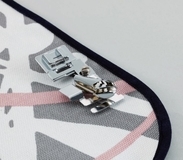 At GUR we make sure that you get the right quality of sewing accessory for your sewing machine which makes sewing a lot easier and fun loving. 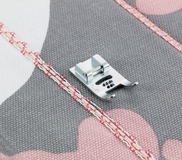 Our range includes cording foot, binder foot, gathering foot, quilting foot, braiding foot, zipper foot, picot foot, piping foot, blind stitch foot, roller foot etc. 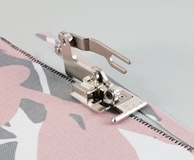 Under Brother category E sewing feets covers a huge range of machines which includes (NV Series 10, 10A, 15, 20, 20LE, 25, 30, 35, 50, 55. NS Series 10, 15, 20, 25, 30, NS35, 40, 40e, 50, 55, 80, 85e. PC Series 210, 210PRW, 420, 420PRW, SB3129, B500, CAMPUS300).